Happiness is not a destination. It’s not some magical combination of life factors, that when balanced correctly will spring some magic trap door into a place where you can exist. 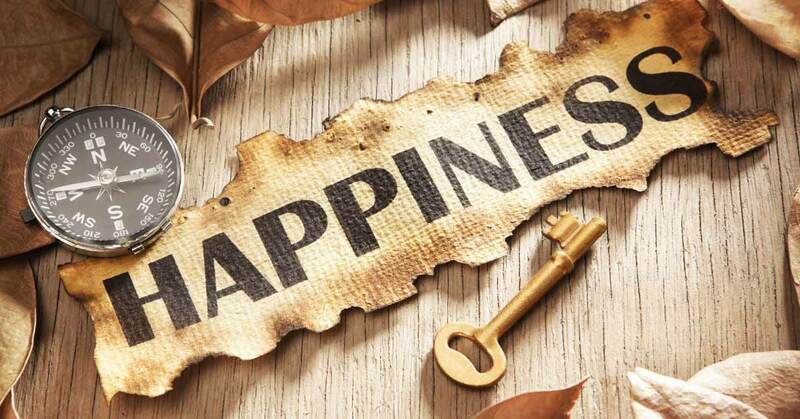 Happiness is a state of being. That being said, there are things that we do every single day that swallow that happiness up. So many times in life, we find ourselves waiting for that “perfect moment”, as some magical starting point for beginning something new. Sorry to break it to you, but very rarely does that “perfect moment” exist. You can stand at an abandoned train station all day waiting for the train to paradise, but eventually – you just have to start walking. We are guilty of harboring fears, hates, worries, and even people in our lives that we just need to let go of. Our hearts are like rucksacks, that when full of useless things, prevent us from making the progress in life that we could make otherwise. I know, these things we harbor are hard to let go of. But that’s the challenge of the journey. Seeking happiness will lead to missing out on it. It is the classic “missing the forest for the trees” scenario. We get so focused on finding happiness as we envision it, that we don’t realize that there is joy all around us. Leaving our mind in the past, keeps us from enjoying the present. The same can be said about looking too far forward to the future. Happiness is found right here in the here and now. Our past is a guide for what we have learned, and our future is where we want to be. Use your past accordingly. Too often in life we place unnecessary importance on things that don’t warrant a second glance. We worry about our physical appearance or our social status, when neither of those things is important in the scheme of happiness. We blow situations out of proportion because of things like ego and pride. Take what life gives you for what it is.